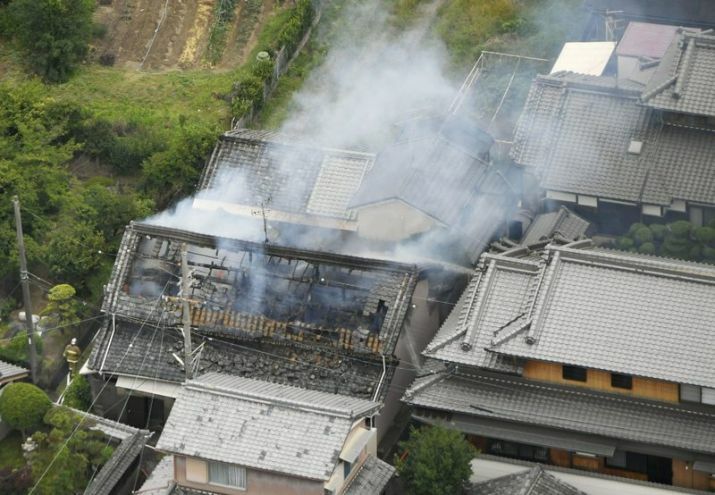 Smoke rises from a house blaze in Takatsuki, Osaka, following an earthquake on Monday. At three people, including a nine-year-old girl, have been killed and 41 others injured in Japan's Osaka as a strong earthquake shook the city on Monday morning. The Osaka prefectural government reported two deaths, and an Ibaraki city official confirmed a third. The Japan Meteorological Agency says a quake with magnitude of 6.1 struck Monday around 8 a.m. The inland earthquake poses no tsunami risk. It set off multiple building fires and toppled walls. Train and subway service including the bullet train have been suspended to check for damage to equipment.